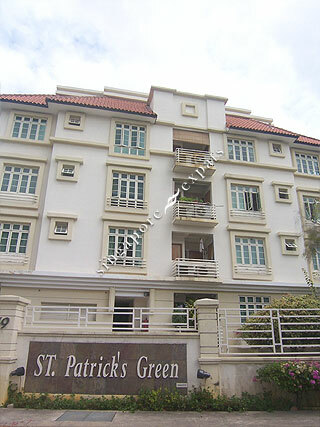 ST PATRICK'S GREEN is located at 49 SAINT PATRICK'S ROAD in district 15 (Katong, Siglap, Tanjong Rhu) of Singapore. ST PATRICK'S GREEN is a Condo development. Educational institutions like ROSEMOUNT INTERNATIONAL SCHOOL, ROSEMOUNT KINDERGARTEN, GLOBAL INDIAN INTERNATIONAL SCHOOL (EAST COAST), CHIJ (KATONG) PRIMARY, TAO NAN SCHOOL and NGEE ANN PRIMARY SCHOOL are near to ST PATRICK'S GREEN. ST PATRICK'S GREEN is accessible via nearby KEMBANGAN, EUNOS and BEDOK MRT Stations. Nice condo with spacious units. Unblocked views and windy. Feel like living in landed house with nice garden which is well maintained. Close to bus stops along East Coast Road, Marine Parade Road and Telok Kurau Road (access to many buses). Private condo perfect for families and entertainers. Only plus point is the location. This apartment is Old and tattered. The interior condition is old and dim. Exterior looks like old folks home, bad design. Rental is expensive compared to the newer development around it. 3 bedded should rent at less than 3k instead of above 3k due to no facilities only a pool fit for koi. quiet area to live in. Facing greens, walking distant to bus-stop and amenities, pub, restaurants and super market. Nice Condomonium with quiet environment in the middle of landed & low rise condos nearby. Excellent location as this condo's rear gate has direct access to East Coast Road bus Stop and 5 min walking distance to nearby bus stops, Schools (St. Patrick, Tao Nan, Nee Ann, CHIJ etc) & shops at Marine Terrace & East Coast road. <10 min walk to East Coast Beach, Marine Parade CC, Parkway Parade. Ideal for families and expats. Spacious living room. We feel like living in landed home.